Hannah Barrett (right) is a new member of the UB Global staff. In less than two weeks, she leaves for Thailand, where she will teach students from many nationalities (including Thai) in an international school in Chiang Rai. 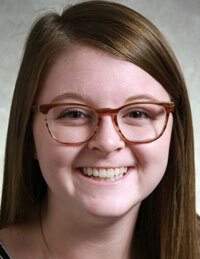 Hannah graduated in May 2018 from Huntington University, with a degree in Elementary Education with a TESOL certification. Chiang Rai International Christian School (CRICS) keeps its tuition very affordable so that locals and missionary children can attend. All teachers raise their support to be there. Hannah has already been to CRICS twice—once on a January Term trip and another for student teaching. Hannah will serve in Thailand for one year as part of UB Global’s Jump Start program. Jump Start is designed to provide a streamlined process for recent graduates to serve on a United Brethren field for a shorter period (1-2 years) and discern God’s longer-term calling. We already have an international team of ten persons serving in Chiang Rai. If you are interested in learning more about Hannah’s ministry, getting on her update list, or supporting her, contact us at info@ub.org. April 2018 Pastor & Spouse Summits | Daytona Beach, Fla.
April 23-27, 2018: UB Youth Workers Summit | Daytona Beach, Fla.
May 7-11, 2018: Associate Summit | Daytona Beach, Fla.